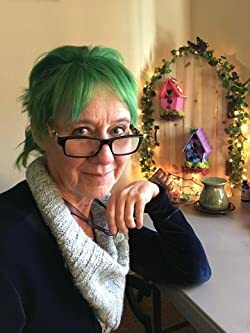 Check out this review of Tales from the Realm of the Green Elf: A Collection of Magical Poetry & Short Stories from this post on Robbie’s Inspiration Blog. Wendy Anne Darling’s latest anthology includes a large number of brand-new, never-seen-before poetry and stories that have never appeared in print until now. The author enjoys writing fresh takes on traditional ideas and following her heart where her creativity leads. For instance; what WOULD happen to Wendy and the Lost Boys if something horrible happened to Peter Pan? How DOES one unpopular and very plain boy find a way to make a place for himself in his world? Does poetry rhyme? Sometimes, and sometimes NOT, but it always flows and dances to its own unique rhythm. Finding a balance between life and magic can be a challenge, but Ms. Darling’s prose attempts to prove that life and magic are one and the same thing. Spend a happy few hours discovering if she succeeded.